What could be better than watching a movie starring Hugh Jackman? How about watching a movie with Hugh Jackman. Or, even more enticing, how about spending a whole day watching a series of short movies with Hugh Jackman... for free? This Saturday, Tropfest is coming to NYC's Bryant Park, hosted by, you guessed it, none other than Jackman. Touted as the world's largest short film festival, Tropfest got its start in 1993 in Sydney, Australia and has since gone global, with main stage events in New Zealand, Paris, India, China, Arabia, South East Asia, Las Vegas and New York. Filmmakers - both amateur and professional - have submitted original shorts to the festival in anticipation of this weekend's competition. Sixteen finalists' films have been selected to play at Bryant Park, where they will be judged by an industry and celebrity panel including Judah Friedlander, Rose Byrne, Jennifer Westfeldt, Ted Hope and Scott Foundas. The finalists' films, all seven minutes or shorter, range in subject matter and budget. They all, however, feature the Tropfest Signature Item, which, this weekend, is "bagel". Past 'TSIs' have included key, dice, spring, the number eight, sneeze, bubble and umbrella. The overall winner will be awarded a grand prize of $20,000 and follow-up filming and screening opportunities. A number of Tropfest's films have found success following main stage events - FX's "Wilfred", for example, began as a 2002 Tropfest short. Gates open this Saturday at 3 PM for an afternoon of live music and DJ performances, with the short film competition kicking off at 7:30 PM. Make sure to reserve your free tickets HERE! 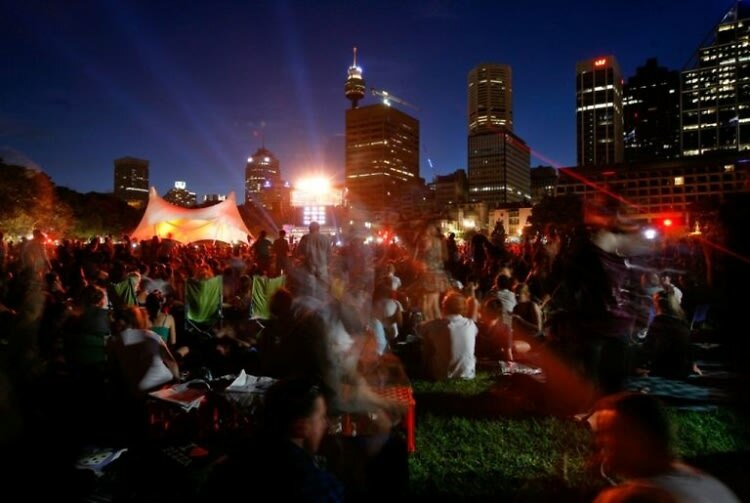 And for more information on Tropfest and this weekend's film festivities, click HERE!